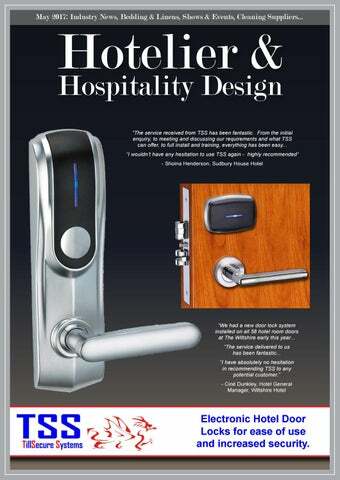 Electronic Hotel Door Locks for ease of use and increased security. Joining forces with their parent company, Mademoiselle Desserts, has broadened the overall dessert offering, as well as expanding distribution channels. The exciting NEW desserts range (pictured opposite) includes Cookie Dough Cheesecake, Sticky Toffee Cheesecake, and Black Forest Cheesecake, as well as two incredibly indulgent dessert bars; Salted Caramel Dessert Bar and a Chocolate Orange Dessert Bar. For more information visit www.handmadecake.co.uk or call 01628 779057 to request a brochure. Fully booked. Now there’s a thought worth entertaining. From award-winning dramas and comedies to blockbuster movies and nail-biting sporting action – your guests can have it all with Sky. Plus fast, reliable and easy to use WiFi with marketingtools designed to drive business growth. Call 08442 414 648 T&Cs: Equipment and installation costs may apply. Sky In Room and Sky In Bar: 12 month minimum term required to get Sky TV in your hotel. Premises must be in United Kingdom (excluding Scottish Islands and Channel Islands). Eligibility subject to credit checks. Content included depends on your subscription package. Sky In Room only: £100 minimum monthly price applies per hotel premises. Sky WiFi: WiFi availability is subject to your premises location. Standard set-up fee and 12 month minimum term apply. Please call for details. Calls to Sky cost up to 7p per minute plus your provider’s access charge. Jamestown © Sky UK Limited. The Trip to Spain © RORY MULVEY. Central Intelligence © Universal. Premier League © Getty Images. Correct at time of supply: 12/04/17. www.hotelierandhospitality.com Hotelier & Hotel Design Magazine is the leading publication and established web resource in the business. Providing comprehensive reporting on hotel industry news and exclusive coverage of the latest ecological-friendly green hotels and bar designs, HHD Magazine keeps you updated on the latest hotel trends in technology and innovative ideas. From recent hotel renovations and openings to award-winning luxury hotels and hotel construction projects, HHD Magazine keeps you informed on news that matters most to your hospitality business. FIRST PHASE OF MAJOR REFURBISHMENT PROJECT COMPLETED AT DOUBLETREE BY HILTON HEATHROW Leading hospitality management company Focus Hotels Management has just completed the initial phase of a £1.5 million refurbishment programme at DoubleTree by Hilton Hotel London Heathrow Airport. The first phase of the refurbishment has included the total upgrade of all public areas at the 200-room hotel, including a stunning new and extended reception, a new lounge area and a fully refurbished bar and restaurant, giving it a stylish, warm and contemporary feel. Designer Wilma Davidson, of Davidson+Company Interiors of Glasgow, is behind the hotel’s new look, creating a relaxed ‘home-from-home’ boutique style not typically seen in an airport hotel. Located in Bath Road, Cranford, the Doubletree by Hilton Heathrow Hotel is just minutes away from Heathrow terminals 1, 2 and 3 and 24-hour public transport links. Situated outside the London congestion charge zone, there’s easy access to central London and the motorway network. The hotel offers on-site parking and modern sound-proofed rooms complete with complimentary WiFi access, flatscreen TV with over 100 Freeview channels and 24-hour room service, while six flexible function areas make the hotel the ideal choice for a meeting venue. Focus Hotels Management is a leading independent hospitality management company with a UK portfolio of 16 hotels, with more than 1,500 bedrooms. As well as operating independent hotels including Sketchley Grange Hotel and Spa and Oxford Witney Hotel, the company also operates hotels under franchise agreements with Hilton, Accor and IHG. For more information about the DoubleTree by Hilton Hotel London Heathrow Airport, call 020 8564 4450 or visit this Hilton web page. As the name would suggest Soak&Sleep is a bed and bath company, known for supplying consumers directly but with an expanding wholesale department. As a company, the sleep revolution has been at the very heart of what we do from the very beginning. Each of our product ranges is developed from the inside out. That means that they’re specifically crafted to improve guests’ quality of sleep and help them feel more rested. Crucially, our products are designed to do this again and again, night after night. They’re engineered with longevity in mind - so you can be confident that they’ll launder with ease and still feel as good for the next guests. It’s this unique approach to the product that has helped us to win a whole host of awards, including being voted as the Which? best duvet and more recently best pillow brand in a reader survey. If you’re looking for a classic pure white look, or linens with a modern twist you’ll be spoilt for choice with our range of bed linens. Our 200 Thread Count Egyptian Cotton is a fresh, crisp linen with a soft handle and features our elegant classic marrow stitch on the oxford edges. Available in a range of sizes including extra deep fitted sheets, this range is also easy to wash and iron. We understand the importance of happy customers, and ensuring your guest’s stay is the best it could possibly be is our priority as well as yours. Think it sounds rather expensive? You’re in for a surprise. The outstanding range is priced extremely competitively. Our trademark Luxury Soft as Down range is a bestseller and available in duvets, pillows and toppers specifically designed to mimic the sensation of feather and down. However, it has synthetic microfibre filling and encased in peachskin which is absorbent, hypoallergenic and washable providing a light, lofty feeling to keep your customers comfortable all night long. KalGUARD offers maximum benefits for limescale control Limescale control is recommended for any business located within a hard water area, and especially those that rely on the availability of hot water, such as restaurants, care homes, schools, leisure facilities and hotels. If left unchecked, limescale can lead to problems such as higher energy bills (British Water estimates that just 1.6mm of limescale can increase a heating system’s fuel requirement by up to 12%), as well as premature repairs, breakdowns and replacement of secondary hot water system components and appliances, business downtime, and unnecessary, unplanned capital expenditure. To inhibit the buildup of limescale, KalGUARD® from Sentinel Commercial is a scientifically- and independently-proven limescale control device which uses unique driven electrolytic technology. What’s more, KalGUARD is arguably the best limescale control device on the market in terms of overall cost-effectiveness, performance, ease of installation and maintenance. The only methodology approved in Part L KalGUARD, which comprises a zinc anode unit, water meter and controller, permanently ‘conditions’ water by dosing it with a very low level of stable zinc. This is achieved via a controlled electrolytic process, which uses a powered zinc anode and a copper cathode, forcing naturally-occurring calcium carbonate crystals to form as soft, non-deposit-forming aragonite rather than hard, deposit-forming calcite (limescale). Electrolytic technology is the only powered device-led methodology to be recommended by UK Building Services Compliance Guide to Part L. Furthermore, independent testing undertaken at Cranfield University has proven KalGUARD’s ability to reduce limescale. Forget temporary limescale control – KalGUARD continuously alters the chemical composition of calcium carbonate crystals for long-lasting protection and complete peace of mind. Not LSI dependent KalGUARD does not rely on water chemistry and ambient temperature having a positive Langelier Saturation Index (LSI), so there is never any need for extra units or additional water analysis and liaison between manufacturer and designer. As a point of note, KalGUARD can be designed on demand, not just according to pipe size. or rustic appearance, as required. Operation of all these attractive and practical, outdoor gas fires is very simple and they are extremely easy to light. Installation requires no specialist skills being restricted to connecting the gas bottle to the and placing the ceramic firewood or alternative media. Sir David Michels, opens DoubleTree by Hilton Cheltenham The Cheltenham Park Hotel is now operating as DoubleTree by Hilton Cheltenham, following an extensive £5 million investment As well as its public areas, the hotel’s £5 million refurbishment includes all 148 of its bedrooms, and the creation of 3 new luxurious suites, bringing a level of quality to guests not seen in the hotel for over 2 decades. The refurbishment also includes all the Spa and Leisure facilities and over 520 square meters of event space, focused on restoring its popular main event room – The Park Suite – to the standard demanded by today’s conference and events bookers. The room offers outstanding views over the Lilly Brook Lake and golf course and can look after up to 320 guests for anything from a large corporate meeting to a wedding or private party. The hotel was purchased by Sir David Michels in 2015 and is run by Michels & Taylor, one of the country’s leading hotel management companies. Sir David Michels said: “I have wanted to bring this wonderful hotel back to its rightful position as one of Cheltenham’s leading hotels, since I bought it and I think our guests are going to be delighted with the results. Doubletree by Hilton is a leading brand and we are confident that the refurbished hotel will meet the quality and consistently high levels of service that our guests expect of us”. Syed Zaidi, General Manager of the new DoubleTree by Hilton Cheltenham added: “We now have a product of which we can be truly proud, and my team and I are looking forward to welcoming our guests to this much loved hotel and looking after them in these new first class surroundings.” The hotel is formally being launched by Sir David Michels, as DoubleTree by Hilton Cheltenham at a ribbon cutting ceremony on 4th May 2017. 1 Hotels and mindbodygreen have partnered to celebrate the hotel’s grand opening on Ear th Day, Saturday April 22, with a free, public mindfulness event at 1 Hotels’ newest property in Brooklyn Heights. The 61-bedroom Abode Manchester hotel is to launch what could be the first of a new restaurant brand for the mid-market city centre hotel group, at the end of the month. US: The Detroit Foundation Hotel is set to open next month. The 100-room hotel room is located in the former Detroit Fire Department headquarters. It will also be the home to The Apparatus Room, a new American restaurant offering locally sourced foods, and run by Michigannative and two Michelin-starred chef Thomas Lents. The five-storey building is situated on the corner of West Larned Street and Washington Boulevard, across from the Cobo Center and just three blocks away from Campus Marius Park. “Our team is thrilled to join the Detroit market,” said Mario Triccoci, co-founder and CEO Aparium Hotel Group, which is managing the property. “In creating this hotel, we are collaborating with local makers, artists and innovators to introduce a true Detroit experience for both locals and visitors. It’s an incredible time in Detroit and we’re excited and honoured that Foundation Hotel will have the opportunity to play a role in the city’s story.” The hotel is being designed in partnership with Simeone Deary Design Group. Brasserie Abode will be an all-day venue in the style of a grand European café and bar. Its launch has been overseen by Alan Swinson, group associate director, food and beverage, of Andrew Brownsword Hotels, the owner of the Abode brand of five properties. After serving breakfast and brunch, menu options will include fritto misto and tartare sauce (£6); black pudding balls with piccalilli (£4), truffle cauliflower macaroni (£12), spaghetti lobster (£18), 7oz bavette steakfrites (£12), moules-frites (£12), rice pudding, sour cherry compote (£7), and chocolat liégeois (£7.50). Brasserie Abode will open until the early hours of the morning with entertainment provided by a resident DJ and a bar offering cocktails from mixologists. Stephanie Hocking previously told The Caterer: “Once Brasserie Abode Manchester is finished, we’ll look at the possibility of expanding the concept throughout the other Abode properties, tailored to each building and local market.” The Abode Manchester previously featured two dining concepts from chef Michael Caines, who was the food and beverage director of Andrew Brownsword Hotels until 2014. The five Abode hotels are located in Canterbury, Chester, Glasgow and Exeter, as well as Manchester. The Exeter hotel is to be rebuilt following a fire which destroyed the property in October 2016. CRAVT Original / DK HOME announces the unprecedented opportunity to acquire furnishings, artefacts and decorations by Auction. Recently CRAVT Original has changed its focus more to the creation of unique and personal interior. This means: more bespoke, more interior projects and more inspiration. Resulting in interior solutions that really tell the story of the client. This also means that activities were started to let go most of the collection items. Some of them will be sold by auction through an highly specialized and renowned party. hen it comes to exclusive interior, CRAVT Original believes that designs and materials must perfectly fit the client’s individual needs. In that spirit CRAVT Original aims to further strengthen its position as worldwide business partner to deliver full service interior solutions to her clients. The world leader in wine preservation and dispensing technology, pouring over 40 million glasses of wine every year. For more information please contact us via sales@enomatic.co.uk or on 01603 768046, Opt. 2.
uente Romano Beach Resort & Spa and Nobu Hospitality are today unveiling exciting plans to launch the Nobu Hotel and Restaurant Marbella at the five-star resort’s exceptional location in southern Spain. Nobu Restaurant Marbella will launch in May 2017, and opening of Nobu Hotel Marbella will follow in spring 2018 at the luxurious Puente Romano Beach Resort & Spa on the ‘Golden Mile’. This new partnership between Nobu Hospitality and Puente Romano is set to create a spectacular next-generation lifestyle resort, and a holistic destination experience for all guests. Nobu Restaurant Marbella, the first Nobu to open in Spain, will sit at the heart of Marbella’s dining scene, joining Puente Romano’s magnetic gastronomic offering of ten individual restaurants including the two-Michelin star ‘Dani Garcia’. The new restaurant will introduce Nobu’s worldrenowned cuisine to the resort’s discerning guests. With a fusion of Japanese cooking and Peruvian flavours, the menu will offer a mouthwatering array of signature dishes including Black Cod Miso, Yellowtail Jalapeño and Tiradito, as well as specialty plates inspired by Marbella itself. Nobu’s signature cocktails crafted by master mixologists will be served in the Nobu Bar and terrace, which will encompass a stylish setting with an electric atmosphere adjacent to the restaurant. Envisioned by Jean-Pierre Martel, one of Spain’s most cutting edge interior designers, in collaboration with StudioPCH Malibu, Nobu Restaurant Marbella will balance comfortable simplicity with natural materials and textures, consistent with the recently refurbished resort’s contemporary aesthetic. Launching in spring 2018, the new Nobu Hotel Marbella will be distinguished by its bespoke Nobu guestroom design and sensual touches across the elegant hotel rooms. Guests can look forward to priority access to the Nobu restaurant, a private swimming pool, and Natura Bisse amenities. Nobu Matsuhisa’s exclusive in-room dining menu will be available around the clock to serve Nobu dishes to guests of Nobu Hotel Marbella who wish to make the most of the flexibility to dine in the privacy of their rooms or at the edge of the private pool. Overlooking Puente Romano’s energised gastronomic and nightlife epicentre ‘Plaza Village’, Nobu Hotel Marbella will be the perfect destination for both business and leisure guests looking for a lifestyle filled with new and exciting experiences from dusk until dawn; the hotel will reinvent the resort experience with a range of spaces to intertwine work and play. “We are absolutely thrilled to announce the Nobu Hotel and Restaurant Marbella, and are delighted to partner with the owners of Puente Romano Beach Resort & Spa to help bring a new vision for their destination to life”, commented Trevor Horwell, Chief Executive of Nobu Hospitality. “Nobu Hotel Marbella will drive an experience balancing fun and luxury to create an enthralling destination in-keeping with the interests and needs of our global Nobu customer.” The launch of the new hotel at the Marbella property will also see Puente Romano Beach Resort & Spa entirely transformed into an all-suites resort. 184 recently refurbished suites set across 27 beautifully designed Andalusian villas, will offer access to the resort’s famous amenities and Six Senses Spa, as well as the new Nobu experience. Puente Romano Beach Resort & Spa is situated between Marbella and Puerto Banus, just 45 minutes from Malaga airport. Further details, designs and images to be released in spring 2017. Booking enquires: Marbella@nobuhotels.com. Further information on Puente Romano Beach Resort & Spa: www.puenteromano.com. Farm Frites won the Best Meal Accompaniment category after judges declared that its Ultimate Chip was ‘a good crisp chip with a well-balanced flavour and texture.’ The product was also praised for its texture and taste with judges stating they ‘are both of high standard.’ Launched as the company celebrates 25 years in the UK, Farm Frites’ Ultimate Chip offers an authentic, high quality meal accompaniment for premium casual dining operators. It offers a truly rustic feel by being ‘perfectly imperfect’ in design; popular among consumers and for operators who offer a premium ‘gastro’ menu. It is based on a 10-step process and is designed to take the strain off busy chefs and offer time savings with the end result to match with the chips they make themselves. FARM FRITES’ ULTIMATE CHIP SCOOPS CHEFS’ CHOICE AWARD Just four months on from its launch to market, Farm Frites’ Ultimate Chip has been awarded a coveted Chefs’ Choice Award. Manufactured at the peak of freshness before being professionally prepared and frozen, the Ultimate Chip contrasts a perfect fluffy inner for a melt in the mouth feel with a crispy outer for the perfect crunch. Peppermill interiors Family-run furniture supplier Peppermill Interiors has launched a range of new products this year, just in time for summer refurbs! Originally established as Peppermill Antiques over two decades ago, the company has changed its focus in recent years – moving away from antiques – and has recently undergone a rebrand. Now, the more aptly-named Peppermill Interiors is a go-to place for contemporary furniture and unique vintage pieces, selling a huge range of products to both domestic and commercial clients all over the world. Peppermill supplies furniture to several high-profile customers, with Starbucks, Marriott Hotels, Nando’s and Harrods being among its list of clients. As well as chains and big-name companies, Peppermill also supplies furniture to a huge number of independent hotels, bars and pubs, and countless domestic clients, who return time and time again. The company has been at its new premises in Staffordshire for over a year now, and the larger space has allowed Peppermill to suitably showcase its ever-expanding range of products. However, it is still a work in progress according to director Scott Humphreys: “We’ve still got a lot of exciting ideas to put into practice in our showroom. We’re currently building room sets, which will hopefully help our clients to envisage how our furniture can fit into their interiors, and we’re always thinking of fresh new ways to exhibit our stock and keep people engaged.” 2017 has already been an exceptionally busy year for the company, as it has seen over 50 new product launches in the first quarter alone. The new lines include a fresh selection of bar stools, dining tables and armchairs, as well as brand-new ventures for Peppermill, including a new collection of leather sofas and a fantastic range of outdoor furniture. Scott Humphreys said: “Outdoor furniture is something we haven’t really stocked much of in the past, except for a few galvanised tables and chairs here and there. We’re really excited about this new line of furniture. Now is the key time for bars, pubs, cafes and hotels to be thinking about remodelling their outdoor seating areas for summer, so this range has arrived just in time for venue owners to take advantage of it.” A large on-site warehouse allows most reproduction items to be kept in stock in large quantities, which ensures a quick turnaround and creates shorter lead times for customers – something the company takes great pride in. You can see the full collection of new, vintage and bespoke furniture across two floors at Peppermill Interiors’ large showroom in Burntwood, Staffordshire. The showroom is open to the public six days a week: Monday-Friday 9am-5.30pm and Saturday 10am-5pm. See the latest arrivals at www.peppermillinteriors.com or subscribe to the mailing list for news and updates. Peppermill Interiors is a trading name of Peppermill Antiques Ltd. Grab A Bite Of The Hound Pound With The Dog Holiday Experts PetsPyjamas With increasingly busy lifestyles, the affordability struggles around having children and many women choosing to have babies later in life or not at all, pets are taking on a more important role in modern family life. Following suit is an increasing demand from pet owners for their pet’s products and services to be an extension of their own lifestyle choices, which naturally includes holidays and travel. Having sent over 12,000 owners and 15,500 dogs on getaways since 2014, and with a net promoter score of 75, Europe’s number one pet friendly holiday bookers, PetsPyjamas, are leading the pack for giving canine guests and their owners an experience that keeps them coming back for more. Shifting the experience from merely dog-tolerant to truly dog-friendly, PetsPyjamas recognises that a warm welcome for a customer’s dog is how the travel and hospitality industry can entice, maximise and retain the lucrative hound pound. At the start of the journey, of course, it is all about getting the basics right first- deliveries, product quality, value for money, communication about deliveries and out of stocks, and making that a seamless process. But then to really go above and beyond you need to understand a customer’s core needs and offer relevant additional services and extras that are tailored or make sense to them. True service excellence requires real engagement to help a customer get ahead in their business, to reward their loyalty and build the sort of true partnership that helps them evolve to become future fit. It’s also about our leadership team getting engaged at grass roots level, in regular front-line feedback groups to hear ideas first hand, so they can fast track the ones that are key, and track the real impact of the changes we are making at an operational and customer level. 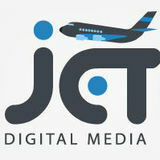 We also do a lot of work behind the scenes to offer added-value to customers. We share insights, recipes, concepts, inspiration, nutritional information, advice, updates on changes to legislation and standards to make life easier for customers. You may have seen us talking about fortification recipes, nutrition and hydration week, our guidelines explaining the recent CQUIN1b scheme to name a few recent topics. We’re still on our service excellence journey, and will always have more to do and further to go, but if you’d like to consider a closer relationship with a foodservice supplier that delivers, our dedicated team of account managers, telesales advisors, and food development managers would be happy to help. For more information or to get in touch with your local team, take a look at our website www.bidfood.co.uk or call us on 01494 555 900. For Bidfood, great service goes beyond delivering boxes on time and at the right price. It’s a fundamental goal for our business and long-term journey to really transform the customer experience, especially as customer expectations change over time. For us, the job is never done, and we’re constantly looking at how we can be the best. programmes that touch every part of our business, investment in customer feedback, in infrastructure, and technology like voice picking, telematics, and leading-edge operational and e-commerce systems. Bedding & Linens 3. Don’t underestimate the importance of quality bed linen Guests also expect and enjoy good quality, high thread count bed linen that can make a significant difference to the comfort of your beds. Try opting for a silky smooth cotton sateen that feels cool and soft against the skin to provide ultimate luxury for your guests. 4. Provide the perfect pillows The right pillow can make all the difference when it comes to a good night’s sleep, and guests will appreciate a soft, plump pillow to sink their head into. Renewing your pillows regularly will ensure that your beds are always a delight to sleep in. Top 5 Tips to Creating The Perfect Night’s Sleep For Your Guests Kate Gough, Mitre Linen’s Customer Experience Manager Being able to offer your guests a truly unforgettable stay means you need to consider everything from the temperature of the room to the quality of the bedding and soft furnishings you use. Today’s customers have high expectations and providing a wonderful night’s sleep is an essential part of their stay. At Mitre Linen, we believe that a good night’s sleep does not happen by chance and with over 70 years’ experience in helping hoteliers providing their guests with the ultimate sleeping experience, we have listed our top tips for you, the Hotelier & Hospitality Design readers. Busy hoteliers can easily get carried away with so many responsibilities, meaning it can sometimes be easy to overlook the basics. I suggest getting into the mindset of your customer and every so often lying on your own beds to assess how comfortable they are. This will help you to understand whether a bed or mattress needs replacing. If you still have some use left in your mattresses, it is worth investing in a mattress topper to add that extra layer of luxury and enhance its comfort. 2. Ensure that your rooms are at the ideal temperature Getting the room temperature right can be tricky as no one likes a stuffy, overheated hotel room. We advise setting the thermostat to 18C, this optimum sleeping temperature will help guests to both fall asleep faster and to sleep well throughout the night. You might also want to consider some newly advanced technological products that can offer a twist your guests will appreciate without increasing your costs. For example, at Mitre we have introduced Coolguard, a clever, innovative pillow protector that comprises of temperature control properties to allow hoteliers to keep their pillows protected whilst doubling up to deliver a peaceful cooling sensation to guests all night long. To really stand out, I also recommend offering a pillow menu so your guests can pick the perfect pillow based on their individual preferences. More and more hotels are seeking advice on creating a pillow menu to personalise their guests’ experience whilst accommodating to their needs. It is also important to consider using pillow protectors to keep your pillows feeling clean and fresh so they are always deliciously plump and inviting. 5. Ensure that your rooms are protected from any source of light when your guests need it most It is scientifically proven that light in the bedroom has a major impact on sleep quality. Avoid providing items that light up in the bedroom with artificial light, for example a digital clock on the bedside table. It is also essential to only use good quality, durable, blackout-lined curtains to prevent any outside light from entering the room and disturbing your guests’ sleep. What’s more, always ensure that your curtains perfectly fit your windows, poorly fitted curtains can again, cause light to creep into the room. If you are looking at refurbishing your rooms with new curtains, always seek the help of a professional team if in any doubt when measuring the drop and width of your curtains, as well as the type of fabrics you should opt for. The help of a professional team can ensure your project runs smoothly as their experience will help you avoid some mistakes that could be easy-to make otherwise. And this need not cost you a penny; for example at Mitre we operate a free measuring service. 6. Create a calming, relaxing sleep environment The cherry on the cake is the ambience of a guestroom as this can have a significant effect on the quality of your guest’s sleep. Try using colours and prints that evoke a sense of calmness and tranquility to help your guests relax and unwind in beautiful, calming surroundings. iers be doing to ensure mfortable, relaxed and g their establishment? Vision Support Services is the leading supplier and distributor of specialist, luxury and performance textiles to leaders in healthcare, hospitality and retail markets around the world. We’ve built our business around our heritage, innovation and specialism and this makes us different from the rest. possible feeling to natural fillings. The Liddell Sheer Lux range boasts an indulgent and luxurious feel ensuring your guest is enveloped in the most opulent anti-allergy bedding whilst the 233 thread count, 100% cotton cover and wave stitching offer a uniquely, timelessly eye-catching to a five-star quality product. The last word in quiet luxury, the Liddell range ensures it offers some of the finest luxury linens, created from hundreds of years of experience originating back in Ireland in 1866. From durable, versatile and attractive bed linens to meticulously crafted filled goods, exquisite to the touch in every possible way. We know a thing or two about sleep – and we know it begins with Liddell. With a history spanning 200 years, it’s safe to say we know a thing or two about a good night’s sleep through the research and extensive work we do in creating the most supple, soft bed linens for hotel guests to enjoy. Creating a sophisticated look with Sheer Curtains Interior trends are seeing more people choosing featherweight sheer curtains to dress windows rather than a heavier formal, traditional curtain. While sheers are often used for privacy and security, they can also add style and sophistication to a window or partition, creating a light and breezy atmosphere, often with a natural and modern feel. On very large windows even a simple plain white voile can create a dramatic effect. Picture an open window or doors with sheers blowing in the spring breeze… it can be simply stunning. The choice of designs, fabrics, textures and styles now available is staggering, so let the experts at online sheer curtain store, Net Curtains Direct, guide you through some of the key considerations for buying sheers for a hotel or restaurant. Net Curtains or Voiles? creating a sanctuary of peace and quiet. Bold contrast colours can match existing accents, or add freshness as a statement piece to make a feature of an otherwise solemn window. luxury and elegance. Recessed spot lights shining up or down can also add an extra dramatic feel. Bright Goods LED filament lamps illuminate Fuller’s pubs Camberley, 10 April 2017 - LED Eco Lights today announced that Bright Goods LED filament lamps are being installed throughout the Fuller’s managed pub estate to reduce energy and maintenance costs. The project has been designed, managed and delivered by the Light Corporation. Bright Goods LED filament lamps from LED Eco Lights were first installed in The Sail Loft, a newly built Fuller’s pub in Greenwich, in a lighting scheme created by the Light Corporation. The Sail Loft is part of the new Greenwich Reach development, with floor-to-ceiling glass windows on three sides and a large terrace facing the Thames with views of Canary Wharf, Cutty Sark and the O2 Arena. Its interior takes inspiration from its location, and features nautical touches and maritime bric-a-brac adorning the walls. Manitowoc Foodservice, Inc. (NYSE: MFS), a leading global supplier of commercial foodservice equipment, announced that it is rebranding the company, its logo and its brand identity to Welbilt, Inc. The ticker symbol will change to “NYSE:WBT” on March 6, 2017. The new name and brand represent a longstanding commitment to put customers’ needs first. The change is part of the company’s strategic repositioning after it spun off from its former parent company, The Manitowoc Company, in March 2016. Equipment Ltd in 1976, the company was bought by the multinational Enodis Group in 1999, and became known as Scotsman Beverage System. Enodis plc was acquired by the global Manitowoc Foodservice Group in October 2008, and Scotsman became Manitowoc Beverage Systems Ltd. On the 6th March, 2017, Manitowoc Foodservice Inc. rebranded the company and its brand identity to Welbilt Inc. The new name and brand represent a longstanding commitment to put customers’ needs first. The change is part of the company’s strategic repositioning after it spun off from its former parent company, The Manitowoc Company, in March 2016.
consumption reduction, putting some money back in the retailer’s pocket. A new revolution for beverage cooling, VISION™ Advanced Remote Cooler was launched last year. Working in partnership with a UK regional Brewer, this groundbreaking system was developed to address the growing concerns of pub operators and owners in relation to rising energy costs, equipment reliability, the impact of EU legislation relating to HFC refrigerants in coolers and the total cost of equipment ownership. Look out for fresh takes on the current trends for mixed textures, including marble, concrete and fabric and also for new takes on up-market bling and smart industrial flourishes, particularly in lighting and mirrors. returns with an exciting new conference feature for 2017 The Caffè Culture Show is the UK’s only business to business event dedicated to the café and coffee trade, and takes place on 23rd and 24th May at Olympia, London. The show has established itself as the go-to event for sector buyers and hospitality operators to source products and services they need to keep in line with market trends and ever-evolving consumer demands. The show features some exciting new elements this year including Caffè Connections, a unique conference forum running within the show itself. Caffè Connections explores the state of the café industry and the rapidly changing landscape, with keynote speakers, panel debates, insight sessions and drop-ins from high-profile figures from the coffee and food to go sectors. Speakers span the industry, from established chains to market disruptors. Day one (Tuesday 23rd May) is designed for senior executives, buyers and procurement managers from the coffee and foodservice markets, with a focus on Strategy, insight and innovation. Highlights include: •	Keynote from Pret A Manger board adviser and Cawston Press co-founder Mark Palmer on what’s driving change within the coffee shop market and lessons to be learnt from the casual dining revolution. •	Caffe Nero’s Paul Ettinger, Kaffeine’s Peter Dore Smith and T2’s Darren Williams on what the chains and independents have to learn from each other and whether they can peacefully co-exist. •	Simon Stenning from MCA Insight on food to go trends within the coffee shop and wider foodservice market. •	Kawther Hashem from Action on Sugar and Gareth Barrett from The British Soft Drinks Association on the big sugar debate and how the coffee shop sector should respond to sugar reduction. •	World-leading baristas go head to head with machine manufacturers to debate whether the latest machines can deliver a fully automated coffee that’s as good as barista-made. Panelists include Simon Bracken from Scanomat, Tim Sturk from WSH, Ben Townsend from The Espresso Room and Dale Harris from Has Bean. Day two’s (Wednesday 24th May) theme is focused around the use of insight to drive performance and the needs of independent coffee shops and cafés. Speakers include: •	Former Coffee Republic franchisee, author and consultant Andrew Bowen on franchising opportunities and alternative methods for raising capital for coffee shop expansion. •	Matthew Hopkinson from Local Data Company and Michael Fern from Edge on whether there is still room for growth in the coffee shop sector or whether some markets have reached saturation. •	Hugh Duffie from Sandows on innovation in vending technologies. •	Gary McCann from Beyond the Bean, Pact Coffee and Eva Pascoe from The Retail Practice on how speciality coffee will continue to differentiate itself from the mainstream market. •	Jonathan Smith from Poppleston Allen on licensing and opportunities for coffee shops to serve alcoholic beverages. Shows & Events Event Director Chris Holman said: “The Caffè Culture Show is widely recognised for its excellent on-site talks programmes and has long been at the forefront of the rapidly changing coffee industry. We want to extend the show’s focus on commercial strategy and growth with a brand new conference offering. Caffè Connections is an exciting new opportunity for visitors to engage more deeply with the latest thinking to help inform and grow their business. This year’s show is not to be missed.” In the show’s Technology Showcase, leading suppliers, wholesalers, equipment manufacturers and suppliers of premium products will be previewing new product launches, while the New Business Zone features the very latest newto-market innovations. Featured companies include Chai Guy and Conker Spirit. The show’s popular Masterclass programme returns this year, providing educational insight from leading lights from across the industry. It’s the perfect place to learn all you need to know about the practical side of delivering a first rate product in your business. There is a packed programme of 30 mini-masterclasses to choose from. Speakers include coffee shop consultant and best-selling writer John ‘Coffee Boy’ Richardson who will be discussing the eight critical steps to running a profitable coffee shop in 2017 and Oatly who will showcasing dairyfree alternatives. English Trading Co has been supplying some of the world’s most recognisable names and brands in the hospitality industry since 1975. Our comprehensive product range covers everything for the contract hospitality industry, from bed linen, duvets, pillows, mattress protection, luxury toppers, towels, bathrobes & slippers; right through to soft furnishings, curtains, tracks, poles and blinds. The Coravin Wine System is the only tool in the world that lets you pour wine without ever removing the cork using Coravin’s proprietary technology. Now wine enthusiasts can expand their palates by exploring, comparing and contrasting regions, varietals, producers, styles and vintages without exposing entire bottles to oxidation. Restaurants and wine bars can use the Coravin System to expand their wine programs by offering better wines by the glass, without the risk of oxidization if a bottle is not sold that night, while wineries and wine stores can offer customers a taste of fine wines before they buy. www.coravin.com The Fine Bedding Company Hotels Division – Specialist manufacturers/suppliers of hotel duvets, pillows, mattress protectors & pillow protectors . Vigorous sourcing from across the world is complemented by our very own state-of-the-art manufacturing and warehouse facility, located in the UK. A dedicated design and planning service will help you create the perfect look with a range of fresh designs and ‘inspiring ideas’. Finally, our professional installation team will ensure all products are expertly fitted to meet the most exacting of standards. 100 years of heritage and THE experts in hotel duvet & pillow manufacturing, with our own Smartfil® advanced fibre filling that can’t be found anywhere else in the market, we have revolutionized hospitality bedding. Having reinvested £1million into our state-of-the-art, purpose-built manufacturing facility, we set the standard for the highest performing commercial bedding for hotels. Light, washable, hygienic hotel bedding that’s a dream for both guests and housekeepers alike, & can be washed in-house to save on laundering. LeisureBench Limited is one of the country’s leading suppliers of outdoor furniture and garden buildings. Our range of products is extensive, starting with our stunning range made from Grade ‘A’ premier teak. Our Oasis Rattan collection, is modern, durable, very strong and is virtually maintenance free. Take a look at our aluminium collection, which is both lightweight, weatherproof and easy to move. The hardwood range is selected from trusted and certified sources, including heavy duty picnic tables in round and ‘A’ frame designs. We also stock furniture made entirely from recycled plastic, which is tough and long lasting, whilst our extra thick steel Tolix Style chairs and ISOTOP sleek table tops will give a splash of colour to your outdoor area. 01949 862920 sales@leisurebench.co.uk. Its success is built on a dedication to product development, a commitment to first-class customer service, and engineers who ensure that each and every system is perfectly installed. One of its products, The Entertainer™ - a touch screen entertainment system - has become the industry leader with a customer base ranging from luxury cruise liners to holiday parks, from pubs to play centres. The National Bingo™ game and the Pulse jukebox have been introduced to the already impressive list of features on the new Entertainer™. At Nomique we deliver innovative, high quality, British manufactured sustainable seating solutions. We are a company to be trusted, for both loyalty and reliability. We are continually exceeding our customer’s expectations with our extensive knowledge and experience. Our team believe in going the extra mile to create the best quality for the most accessible price. Designing with ergonomics and flexibility in mind, to produce seating to suit everyone and every environment. Nomique Seating Ltd, Unit A, Halesfield 14, Telford, Shropshire, TF7 4QR. SICO Europe is the leading worldwide manufacturer of mobile folding space efficient products that help you maximise your space. The detailed engineering and superior manufacturing that goes into every SICO Europe product is supported by a strong warranty programme and excellent customer service. SICO Europe is committed to serving the hospitality industry with a complete line of innovative products designed to assist you in turning rooms around quickly and increasing room flexibility, for example our mobile folding tables, stages and portable dance floors quickly transform a meeting room into a party room, a banquet into a convention space, or a reception into a dance. Forever Better’ with Miele Professional. Miele Professional is the global leader of commercial laundry equipment and dishwashers, providing the highest quality products designed to deliver exceptional results every day. Renowned for their outstanding build quality, innovative technology and energy efficient performance, Miele prides itself on its attention to detail. The greatest benefit, however, is flavour. Synergy Grills get hotter than average chargrills. Heat ‘atomises’ the natural fats that are released during cooking which are misted back into food making it incredibly succulent. Mediatheme Limited is one of the UK’s leading providers of touch screen entertainment, providing reliable, professional and ‘fun’ products and services for customers across the UK. We are a team of professional bartenders who have built a career in high end venues both in the UK and in the Asia Pacific. To advertise in the directory please contact Andy Bell on 01843 448443 Prices from ÂŁ120 for the year. The much-anticipated report showcases the top selected spirits by bartenders in many of the best bars around the world and today named Ketel One as the number one vodka in two categories. For the fifth year in a row Ketel One has been awarded the ‘Best Selling’ vodka title and for the third year the ‘Most Trending’ in the vodka category. KETEL ONE VODKA SWEEPS THE coveted industry awards showcase the BOARD AT GLOBAL The most popular spirits chosen by bartenders preparing cocktail-classics. Ketel AWARDS when One is celebrated all over the world for its quality and the excellence of the liquid has now been recognised as the perfect base for a Bloody Mary, Moscow Mule and Espresso Martini cocktail. Ketel One Vodka is celebrating after being crowned ‘Best Selling’ Vodka and ‘Most Trending’ Vodka by the Drinks International Bar Report 2017. Professional Carpet, Upholstery & General Cleaning in Kent We are a professional and customer focused company, who are one hundred percent committed to providing a high quality service to all of our customers and also to our potential customers during the delivery of our quotation service. We are also fully Insured, including Public Liability Insurance. Prompt and Punctual We always endeavour to be on time, if for any reason we are delayed our experienced technicians will phone with an update at the earliest opportunity Free Estimates We can arrange a suitably convenient time and date to assess the work you require us to undertake and provide a Free Estimate, along with our recommendations. Fast, Efficient and Flexible We can work outside of your working hours if you require us to. We will also work as efficiently as possible and always try to be as flexible as we can, however the quality of our work is of the utmost importance to us, as is the satisfaction of our clients. Free Demonstrations For Commercial or End of Tenancy Work we can offer a free demonstration if required. We assure you that our service uses the highest quality equipment and materials on the market and that our technicians are fully trained and have adopted our companyâ&#x20AC;&#x2122;s philosophy of work quality and customer care. Environment Friendly Cleaning ProductsWe also want to contribute towards taking care of our planet and this is why the products we favour are 100% natural and therefore have little impact on the environment. Your Convenience Is Our Priority If you require an estimate or need to change an appointment, please do not hesitate to call us. Carpet Cleaning, Upholstery Cleaning and General Cleaning in Kent and the Surrounding Areas We are a local, family run company who are committed to providing an excellent service to all of our new and existing customers in Broadstairs, Ramsgate, Margate and the surrounding areas. All of our technicians are fully qualified and use the highest quality equipment and materials on the market, ensuring that our company's high standards of work quality and customer care are always maintained. If you would like to arrange for a free no obligation quotation for our carpet cleaning, upholstery cleaning, general cleaning, property maintenance or fire and flood damage restoration service please feel free to get in touch, we look forward to hearing from you. CORKSCREW FIND FREEDOM BY THE GLASS You’ve returned from work ready for a glass of wine. Knowing you have a busy week ahead, you only want to enjoy one glass - but you worry that once you’ve opened the bottle the wine will start to oxidise. Now there is a solution: The Coravin™ Wine System. ... and all the benefits you need on a sensible budget. myPRO gives you the advantages of a unique professional design with just the technology you need. A great and reliable investment that will serve you well for many years.